What links handling a dead kakapo bird, working with volunteers and keeping firearms in your collection? You’ll find legislation which covers each of these areas! 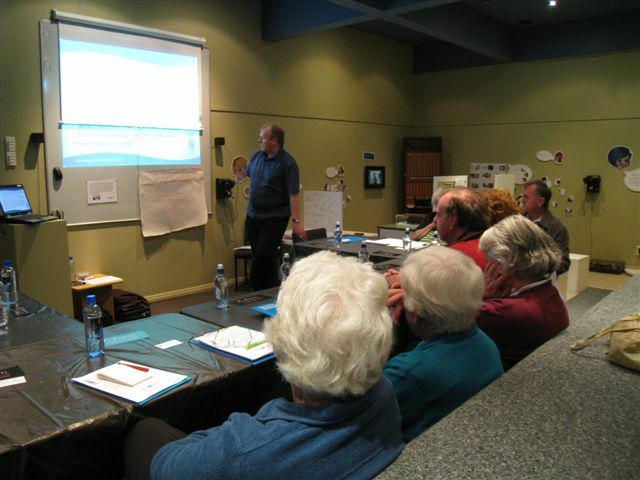 On 14th September 2012, I attended ‘Ticking the boxes: legal requirements in the museum sector’ at Te Awamutu Museum along with nine volunteers and staff members from museums and historical societies from the Waikato region. This workshop was designed to give those working in the museum sector the opportunity to learn more about compliance and how it affects their work. This workshop has been held in a wide range of museums across New Zealand during 2012. Workshop facilitator David Woodings drew from his own wide-ranging experience in the museum sector to provide vivid examples of why legislation matters. From start to finish the workshop was engaging, thought provoking and, according to an evaluation form from one attendee, a little scary (in terms of what they didn’t know)! A raft of legislation issues were broken into the key areas of collections, people, buildings, and organisations, accompanied by a comprehensive handout. The issues discussed were relevant to anyone who might be acquiring and handling objects, dealing with the public and running events, keeping buildings maintained, and looking after staff and volunteers, along with a myriad of other activities which the museum sector is involved in. The fast changing pace of legislation was highlighted to the group, and while handouts were extensive, David highlighted a number of recent legislation changes which would affect most attendees – including changes to the minimum wage and legislation around Immunity from Seizure for Cultural Objects on Loan. A number of attendees left the workshop fired up to ensure that they had volunteer guidelines in place, and at least one discovered they would need a collection firearm license. The biggest thing I took away from the day was while legislation can look challenging to read, government websites usually have easy-to-read flyers spelling out regulations in terms we can all understand. The workshop was also a good opportunity to network with other organisations in the region, both in small group work sessions, where a wide range of experience and knowledge was shared, and in the informal coffee breaks provided by the team at Te Awamutu Museum. I also enjoyed the chance to have a wander around Te Awamutu Museum’s exhibitions at the end of the day.